/// How to add pictures into a document. // Add a new section. // Create a new paragraph with picture. // Add some text content. // and located as flowing content together with text (Run and other Inline elements). // Add picture to the paragraph. // Floating layout means that the Picture (or Shape) is positioned by coordinates. // Set the wrapping style. // Add our picture into the section.
''' 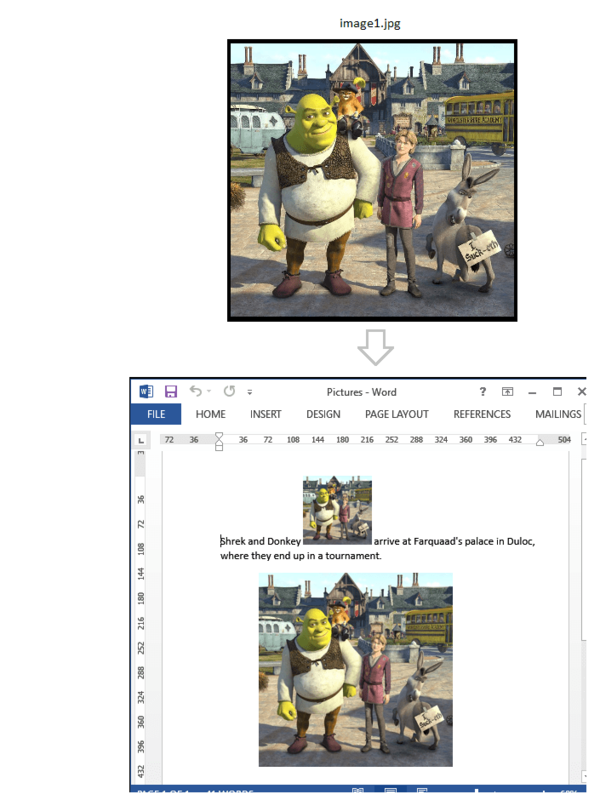 How to add pictures into a document. Dim documentPath As String = "Pictures.docx"
Dim pictPath As String = "..\image1.jpg"
' Add a new section.
' Create a new paragraph with picture.
' Add some text content.
' and located as flowing content together with text (Run and other Inline elements).
' Add picture to the paragraph.
' Floating layout means that the Picture (or Shape) is positioned by coordinates.
' Set the wrapping style.
' Add our picture into the section.